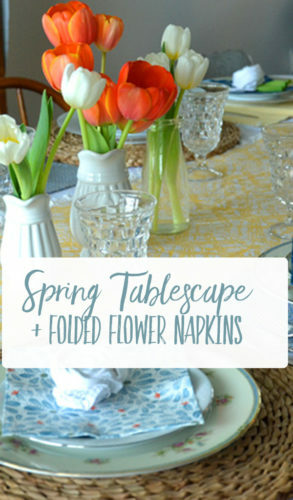 Today I’m guest posting over at Kenarry Ideas for the home & sharing a Spring tablescape + flower folded napkins. 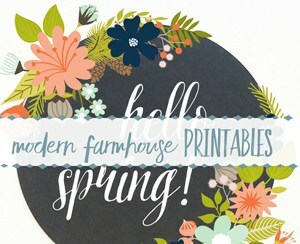 If you are looking for a quick way to put a fresh Spring look on your table, here are some quick & colorful ideas. 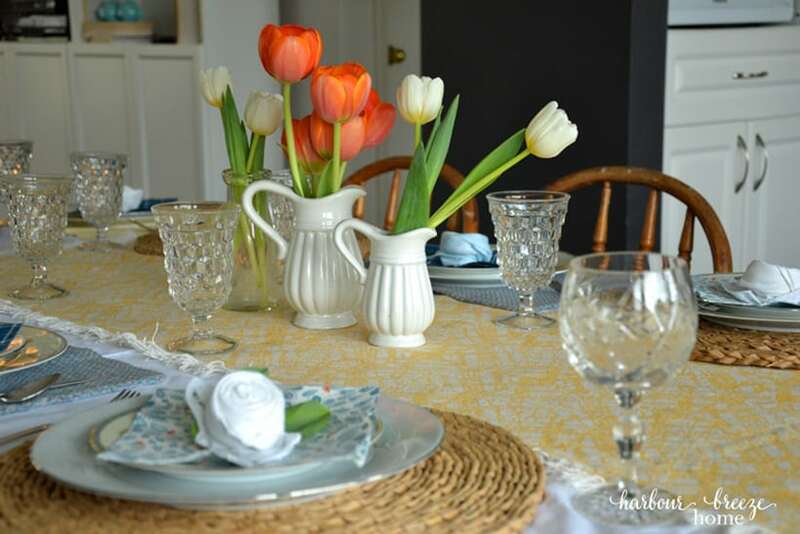 Add a pretty table runner in a Spring color over a white tablecloth. A cheery yellow table runner sets the stage for this colorful mix and match look. 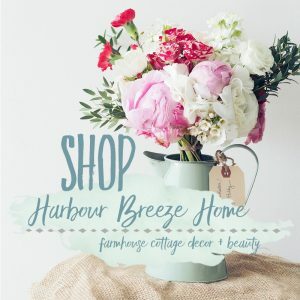 It’s the perfect backdrop for simple vases filled with fresh tulips. Mix and match the napkins. 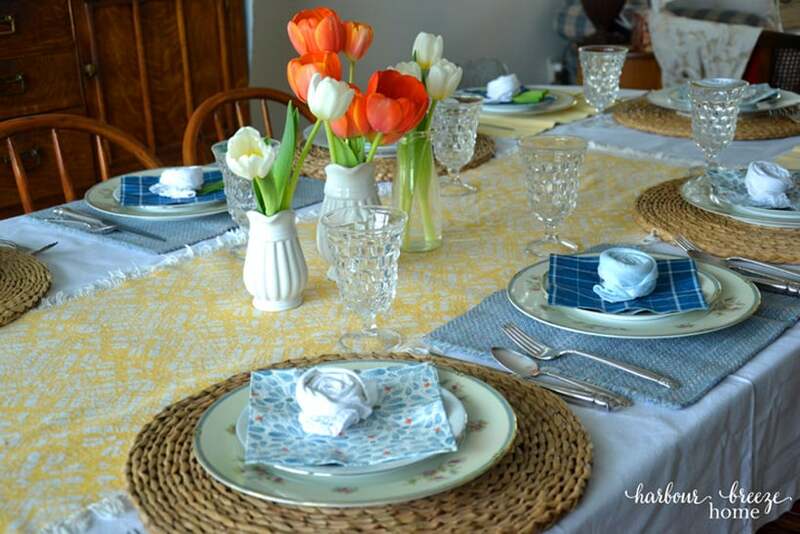 Blue and yellow are one of my favorite color combinations, so mixing up blue floral and plaid napkins was a fun way to add great contrast to the yellow table runner. 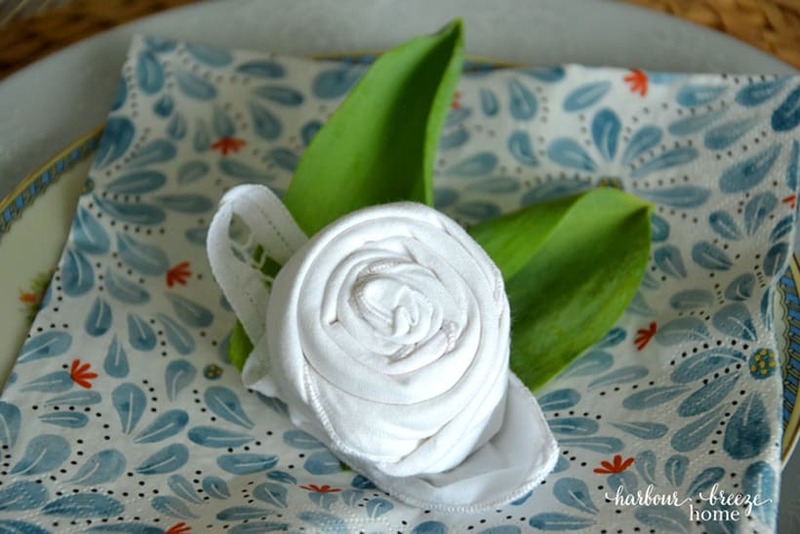 Fold cloth napkins into flowers for a fun place setting. Guest always feel so special when they show up to a dinner party to find something special at their plate. 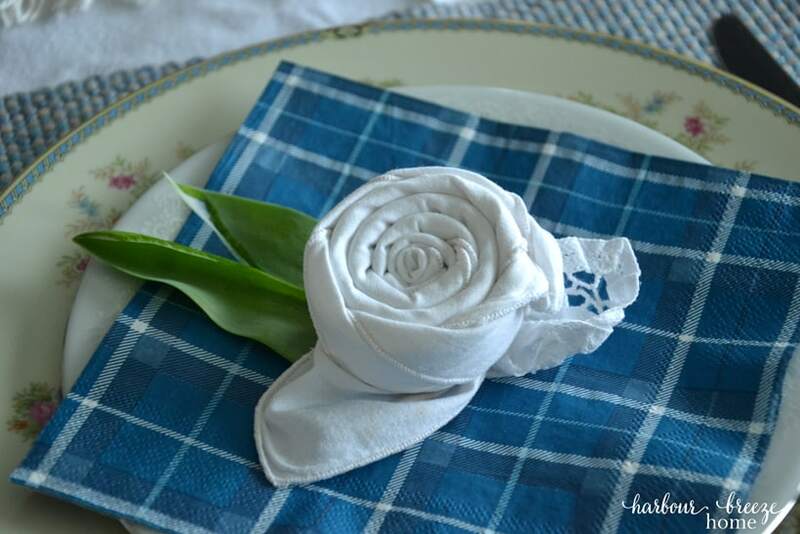 This simple cloth napkin folded into a flower is a wonderful addition. Extra leaves from the tulip bunches were trimmed to add a green base to the look. It just took a few minutes and added a fun little surprise to the table. 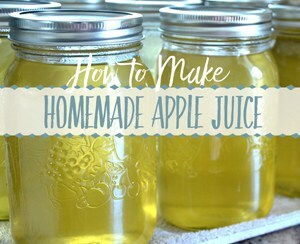 Head on over to Kenarry for the video to see how it’s done.